Jan Isaksen was 6 feet 4 inches tall and milky white. Upon arrival at the Statistic Central Bureau in Nairobi, he knew that he would not go unnoticed. Before long he got the nickname Bwana Twiga, the white giraffe, a nickname that he embraced with pride. Bwana Twiga has never been afraid of turning a few heads. Jan Isaksen has spent half a lifetime living and working in Africa. He is skeptical to the rush that characterizes the current aid industry. Nowadays it is a big game, filled with consultants who fly in and out for a one week stay. - Being able to provide sensible advice and input depends on knowing the context. A week or two is not enough time to learn or understand, he says. His stance on the importance of fieldwork and partnership with partners in the global South is perfectly in line with an old CMI policy. When the first development researchers started working at the institute in the 1960s, they were expected to spend at least half their time in developing countries, working on their topic of expertise. Times have changed, also at CMI, but fieldwork and partnerships with institutions in the global South is still a key feature of everyday life at the institute. As the years have passed by, spending time and actually being there has become somewhat of a mantra for Isaksen. Capacity building requires both. And precisely capacity building has been a prominent feature of his work. As an economist, Jan Isaksen has always had a keen eye for the import/export business. His career in Kenya started in 1970, when he himself was ‘exported’ from CMI to the Kenya National Bureau of Statistics. Among the primary goods that were exported to Kenya from Norway and other Western countries at the time was knowledge, more specifically about statistics and trade, embodied in the likes of Jan Isaksen. -This was a time when technical assistance was seen as crucial to development. Independence was still relatively fresh in many African countries, among them Kenya. Our role was to work closely with the Kenyans. We were part of the institution, and our position was no different from theirs. These were countries in the process of building state institutions and public offices. They were quite literally building the state itself. -The whole idea of technical assistance and long-term capacity building has been replaced by short-term consultancies. To really know the needs and understand what will work better in a given context, you have to spend time there, live there, and cooperate on a day to day basis. Isaksen argues that parts of the aid industry is characterized by a lack of humility and humbleness; that there seems to be a widespread idea that knowledge can be transferred directly, irrespectively of context or culture. 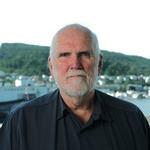 He is currently involved in one of CMI’s biggest research projects: Tanzania as a future petro state. A few years ago, Tanzania found huge gas reserves just off the coast. Expectations were sky rocketing among politicians as well as the people. Many countries on the verge of becoming a petro state, Tanzania included, want to learn from the Norwegian experience of turning natural resources into prosperity and, hopefully, better welfare services for all. -The idea that what works here will also work in a different country is somewhat naïve. In our line of business, it is important to acknowledge what can be directly transferred and what cannot. Something technical like estimating the parametres of a model will not change from one context to another. But once you have the results and you’re trying to convince politicians how they ought to proceed, that’s an entirely different ball game. We are in no position to give anything but advice. In the ‘Future petro state’ project, we cooperate closely with our Tanzanian partners REPOA. What we provide is the technical skill and expertise that enables our partners to do the analysis and provide input to the key stakeholders themselves, says Isaksen. 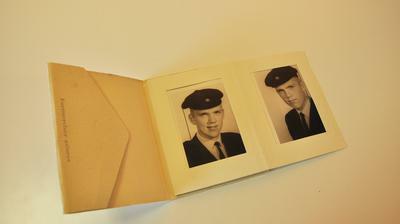 A younger Jan Isaksen, graduating in 1963. 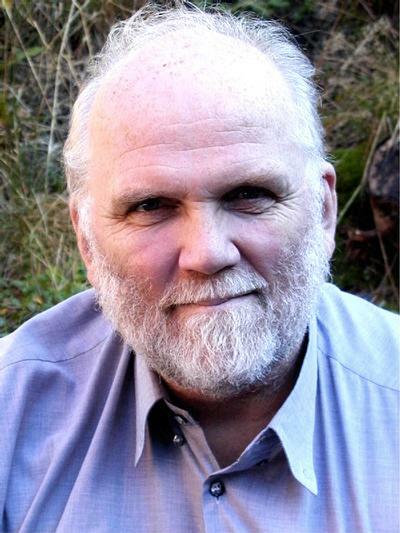 Building skills that last and developing efficient and practical models have been Isaksen’s trade mark as an economist. During his first years in Botswana (1974-1977) working for the Ministry of Finance, he developed a macro-economic model that formed the basis for the Botswanan national budget for 20 years. That was also where he met and became friends with Festus Mogae, who later became President of Botswana, for the first time. The model was baptized MEMBOT (MacroEconomic Model for Botswana). Employees in the Botswanan Finance and planning Ministry got the model under their skin to such an extent that they could use it as a competing model to the one the International Monetary Fund used, benefitting from different and more fair calculations. It has also been used in countries like Angola and Kenya. Isaksen’s models are still going strong. Recently he got a phone call from an employee at the Ministry of Finance in Uganda. He was asking questions about the model Isaksen developed almost 50 years ago. When Isaksen first came to Kenya in the early 70’s, there were three groups of Norwegians; coffee plantation owners, experts, like Jan Isaksen, and volunteers in the peace corps. Neither here, among his own kind, was he afraid of causing a bit of commotion. Celebrating the 17th of May, the Norwegian Constitution Day, has long been a tradition for Norwegian expats. For some, the customs and mannerisms concerning this celebration are sacred. But people are different, and perhaps few more so than coffee plantation owners and peace corps volunteers. -The plantation owners and a large share of the experts always showed up with plentiful Norwegian flags, wearing tuxedos, he says. Isaksen himself chose a less formal approach. Along with the peace corps volunteers, he showed up wearing clothes with traditional African prints and patterns. - It was an abomination, he says chuckling. The plantation owners deemed him and the peace corps volunteers to be outside the well mannered circles, the experts wondered how he could still be an expert. The divide was too sharp and the disagreements too strong to continue the 17th of May celebrations in the traditional manner. From that moment on, the only they still did as a collective was the children’s parade. After the parade, they took separate ways. Isaksen still looks back upon the contested 17th of May celebration with a smile. He didn’t couldn’t care less if his appearance was deemed to casual by some. He embraced life in Kenya and Kenyan culture, and the life and culture there embraced him back. And even though he is now well equipped for any surprise life abroad might bring, he has to admit, although with fond memories, that he sometimes learned the hard way. The stay in Kenya was only the first of what has come to be almost a lifetime abroad. 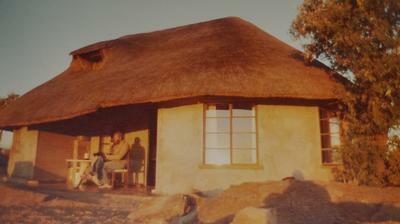 Next, his work took him to Vienna before he headed for Botswana in 1976 to work at the Ministry of Finance. This brings us back to his mantra: The time it takes and actually being there. Botswana soon came to hold a special position in his heart, even though he got off to a somewhat challenging start. ‘It takes a village to raise a child’ goes the famous African proverb. It puts the village at the centre of life. And it really is, as Jan Isaksen found out when the entire village showed up for a party he and his wife Pavla, whom he met in Botswana, had invited 30 people to. Putting the village at the centre-stage of life involves surprises, giving and sharing, also when you do not really have enough to share. It also involves unselfishness and receiving. 130 guests more than you planned for is not a problem when your neighbour upon realizing the squeeze spontaneously donates a goat. Something like that makes you feel welcome and at home. And Isaksen felt welcome and at home in Botswana. His second time around, he also had kids who felt the same. They went to the neighbourhood school. -During all our years abroad, we managed to maintain a normal family life. That is imperative when you spend so many years abroad, he says. Being part of everyday life in a foreign country not only makes it easier to keep a normal family life. It also opens your eyes to the inner workings of a society. Corruption, personal favours, the constant privileges of the elite, and the shady grey zones between respect for the law and negligence are the downsides you witness as an integrated part of the community, from the local police officer who sells drugs to the ministers who give jobs to their closest family members. But again; actually being there and spending time there makes it easier to understand why the things that are so easy to criticize happen. -As an outsider, it is so easy to get on your high horse and judge what you see happening around you. Being an insider, you understand. There is never an excuse. But there is an explanation, he says. Even for him it can still be challenging to get a full grip of the game, but spending all these years abroad has made it easier for him to understand the rules of the game and who has vested interests. You do not get this bigger picture if you fly in and out, argues Isaksen. Living and working locally has not only given Isaksen multi-faceted experiences, but also unique opportunities. Not all of them were deemed by him to be worth a try. Like the Swede who wanted him to contribute in a project aiming to turn Kenyan agriculture into a coop. Or the German businessman’s plans about the German African shipping line financed by Botswana. He is undoubtedly an adventurous and fearless soul, but he is also realistic and knowledgeable about the limits and constraints set by your surroundings. A deeper knowledge that only first-hand experience over time can give you. It has been a few years since he and his family lived in Africa. 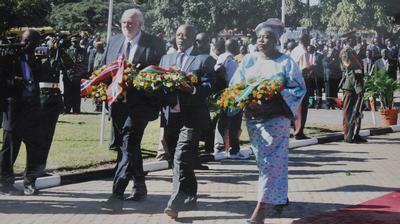 His last stay was at the Norwegian Embassy in Zambia from 2010 to 2013. But he still goes back on a regular basis. He and his wife treasure every week of the year they spend in their apartment in Cape Town, a city close to their hearts. Although he has retired, he still cannot let go of Africa. He is involved in several CMI projects, and is currently writing a chapter about Botswana for a book edited by the acclaimed political scientist David Collier. And the South African cured meat, biltong, is still his favourite food. Isaksen has undoubtedly left a footprint in Africa. And Africa has left a footprint on him.